Hal Ashby set the standard for subsequent independent filmmakers by crafting unique, thoughtful, and challenging films that continue to influence new generations of directors. Initially finding success as an editor, Ashby won an Academy Award for editing In the Heat of the Night (1967), and he translated his skills as an editor into a career as one of the quintessential directors of 1970s. Perhaps best remembered for the enduring cult classic Harold and Maude (1971), Ashby quickly became known for melding quirky comedy and intense drama with performances from A-list actors such as Jack Nicholson in The Last Detail (1973), Warren Beatty and Goldie Hawn in Shampoo (1975), Jon Voight and Jane Fonda in Coming Home (1978), and Peter Sellers and Shirley MacLaine in Being There (1979). Ashby’s personal life was difficult. He endured his parents’ divorce, his father’s suicide, and his own failed marriage all before the age of nineteen, and his notorious drug abuse contributed to the decline of his career near the end of his life. Ashby always operated outside Hollywood’s conventions, and though his output was tragically limited, the quality of his films continues to inspire modern directors as varied and talented as Judd Apatow and Wes Anderson, both of whom acknowledge Ashby as a primary influence. 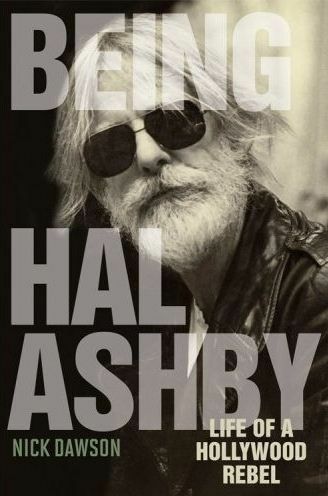 In Being Hal Ashby: Life of a Hollywood Rebel, the first full-length biography of the maverick filmmaker, author Nick Dawson masterfully tells the turbulent story of Ashby’s life and career.